Q. 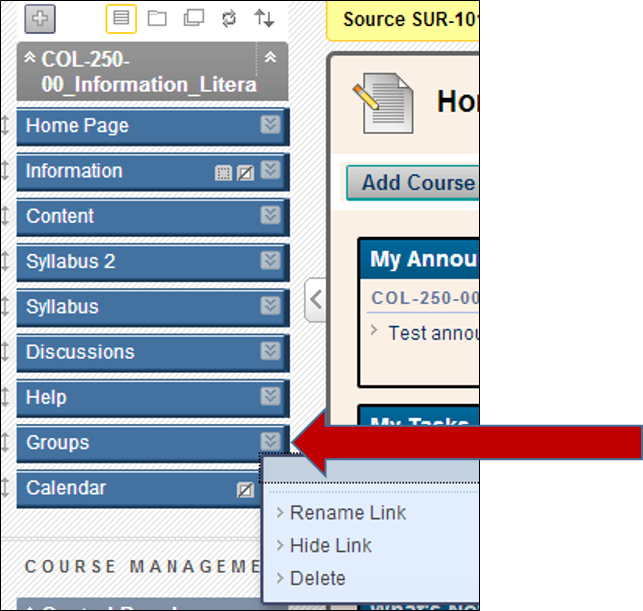 How do I add or delete course tools? 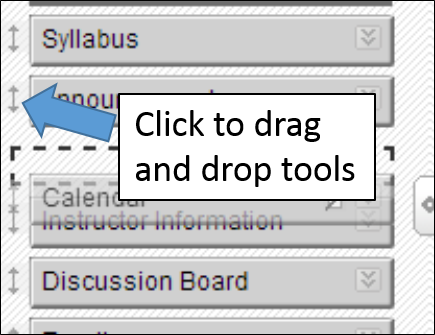 Often instructors may want a tool in Blackboard that is not listed on the left side panel already. These instructions will show you how to add a tool and then how to make it available to your students. 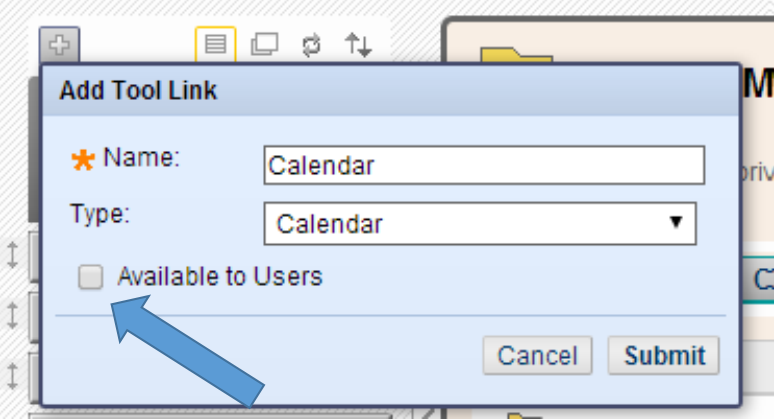 In this example, we will add the calendar tool to the course panel. 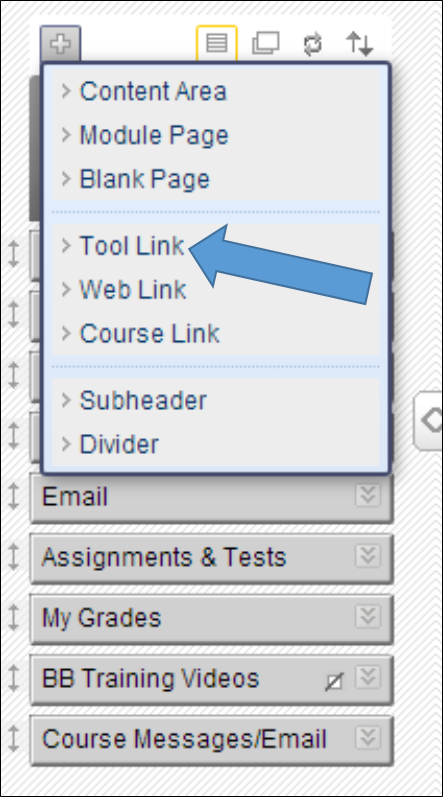 To add a tool, hover over the + symbol in the top left corner and click the "tool link" option. Select "Calendar" from the list and give the tool a name. 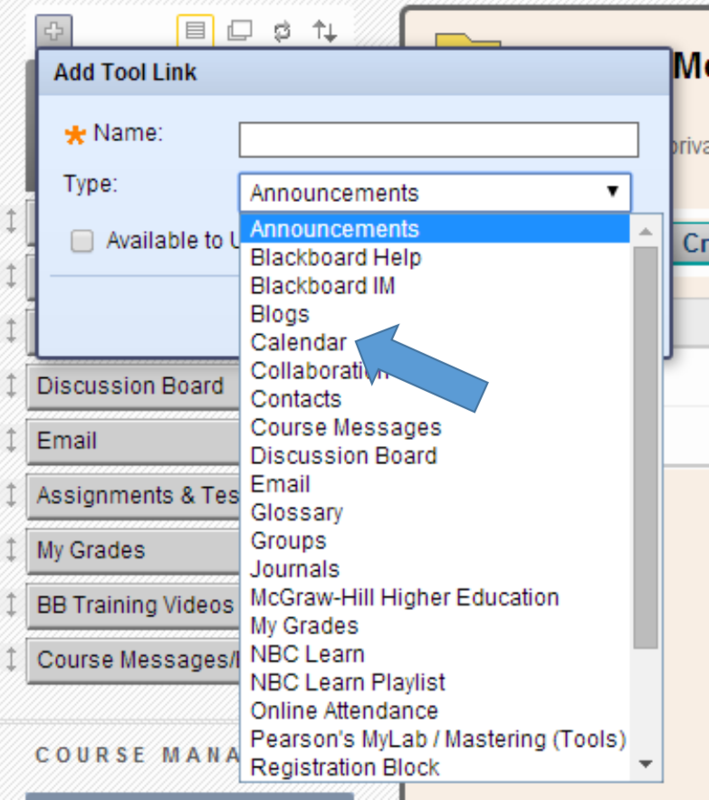 Make sure to click the "Available to Users" box or your students will not be able to see the tool. Click Submit. Your tool will now be housed at the bottom of the list of your other tools. To move any of the tools on the left-panel, click the double arrow and drag the tool where you would like it to reside. On the tool you wish to delete, click on the double arrows pointing downward to view additional options. From here you have the options to rename the link, show or hide the link, give permission to others to view, or delete. If you click "delete," you will be asked if you are sure. Click Yes, or OK. Note: You can also hide a tool using the "hide link" option instead of "delete." The tool will then be visible to you in edit mode, but will not be visible to students. You may want to hide tools if you plan on using them at some point during the course but not right away.